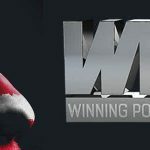 American Mohsin ‘Chicagocards1’ Charania has won the PokerStars European Poker Tour (EPT) Grand Final €10,600 buy-in No-Limit Hold’em main event in Monte Carlo after outlasting a 665-player field to lift the €1,350,000 top prize – after striking a deal with runner-up Lucille Cailly. The heads-up battle only started once a deal had been agreed, with Charania receiving €1,150,000 and Frenchwoman Cailly getting €1,050,000 to leave €200,000 to play for, as well as the title, the €25,000 Shamballa bracelet and entry into the Tournament of Champions that starts today. Of course, Chicago’s Charania – who made his biggest move on Day 2 of the event when taking down a huge hand to elevate him into a challenging position – secured that extra cash from a tournament that saw the likes of eight-time World Series of Poker (WSOP) champion Phil Ivey, Team PokerStars Pro Daniel Negreanu and Patrik Antonius fail to make the money. Charania entered the eight-handed final table like almost everyone else, with a short stack, having just 22 big blinds as play started at 50,000/100,000 with an ante of 10,000 following a long penultimate day of the event. In fact, only Frenchman Bernard Guigon had more than 30 big blinds, meaning play was always like to be fast and furious at the Monte Carlo Bay Hotel & Resort. However, the American appeared confident of success and – once he had eliminated Guigon in third place for €545,000 – he powered past the well-supported Cailly in a heads-up clash that lasted just five hands. The final hand saw Cailly raise to 400,000 and Charania re-raise to 860,000, leaving the Parisian to take a few few moments before pushing in another raise of 2,055,000. The Illinois pro asked for a count on his opponent’s remaining chips and, once known, he shoved all-in with Q♥ Q♠, to be quickly called by Cailly, who tabled A♦ K♣. Both players leapt out of their seats but did wish each other luck before the flop came 9♣ 3♥ 2♣. There was no help to Cailly, while the 7♠ turn meant he just had to dodge six cards to be crowned champion. 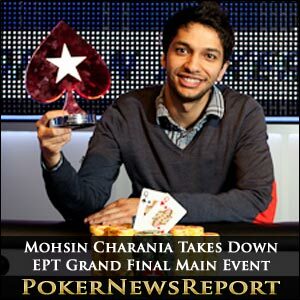 Unable to watch the dealer place the river card on the table, Charania looked away – only to be mobbed by his rail as the 2♥ confirmed him as the latest EPT Grand Final Championship winner. An obviously distraught Cailly, who was aiming to become the first woman to win the Grand Final, received the consolation of her friends, family and fans – many of who wore blonde wigs in support – but will surely look back on this event with fond memories of her incredible display. She also received the massive consolation prize of €1,050,000 for her amazing efforts. Italy’s Sergio ‘genio-ps’ Castelluccio took fourth place for €400,000, Brazilian Rodrigo ‘caprioli’ Caprioli exited in fifth for €315,000, Canadians Michael Dietrich (€245,000) and Clayton ‘slammedfire’ Mozdzen (€185,000) filled the sixth and seventh places, and Spaniard Daniel ‘Garnerus’ Gomez collected €130,000 for eighth. The final table started out pretty slowly, with every one of the eight players knowing what was at risk, before Castelluccio and Ontario’s Dietrich began to put pressure on their opponents by playing far wider ranges of starting hands, although they received little action. 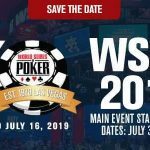 However, Gomez became the first player to hit the rail on the final day when a three-player all-in pot with Castelluccio and Caprioli grew due to three high-quality starting hands. Castelluccio raised to 200,000, before Gomez shoved all-in and Caprioli made the call. The Italian also called to show K♣ K♦, while Sao Paolo’s Caprioli revealed J♣ J♦ and Gomez tabled A♠ Q♦. The board improved Castelluccio’s starting hand to a full house, making him the new chip leader but also eliminating Gomez in eighth place and denting Caprioli’s stack. Canadian Mozdzen was next to go when he lost a hand to Cailly. Castelluccio raised to 240,000 before the Winnipeg player moved all-in and Cailly called – as did the Italian. The flop came J♣ 7♠ 6♦, prompting Cailly to bet into the side pot, which saw Castelluccio – who held A♠ Q♠ – muck his cards. Cailly then showed 9♥ 9♦ to be up against Mozdzen’s A♥ 10♦, although it as all over for the latter two cards later as the Frenchwoman’s starting hand held to give her the chip lead. However, Castelluccio took over at the top once more when he rivered a straight against Cailly. He was soon joined by Charania at the top, though, when the American eliminated Dietrich, in sixth place when his A♦ K♦ held against his Canadian opponent’s A♣ 9♣. 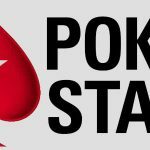 Brazil’s Caprioli – a Supernova Elite PokerStars Online qualifier – was next to hit the rail when suffering a real suckout. He open-shoved all-in while holding Q♣ Q♥ to receive a call from small blind Castelluccio, who showed A♦ 8♣. Initially in great shape to double-up, Caprioli saw an ace arrive on the river to send him packing, although he must be satisfied with his work as he qualified using 850,000 FPPs (frequent player points) to earn €315,000 from what was essentially a freeroll. A key hand arrived not long after that elimination when Charania – with K♣ K♥ – stayed ahead to beat Castelluccio’s 7♠ 7♦ and take over as chip leader from the Italian. The blinds were starting to force the play now and Cailly and Castelluccio clashed to see the latter eliminated in fourth place as the former took the chip lead. 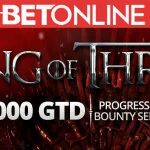 Castelluccio raised to 320,000 while holding J♦ J♥, button Charania three-bet to 680,000 with 8♣ 6♣ and small blind Cailly – after some thought – made the call with her A♠ Q♦. However, once Guigon, with A♦ 6♥, had folded, Castelluccio shoved all-in, with Charania also folding and Cailly – appearing somewhat reluctant – finally making the call. Cailly got to her feet and placed her hands on her head, knowing than an ace was already gone, before a flop of 10♣ 9♦ 3♦ appeared to change nothing. But she needn’t have worried as the Q♥ came on the turn to give her top pair and the 3♥ river confirmed her success and Castelluccio’s elimination in fourth place. The final knockout before the heads-up battle saw Guigon and Charania clash to ultimately end the French player’s tournament. On the button, Charania, with K♥ Q♥, raised to 410,000 and big blind Guigon moved all-in to show A♣ 4♥. The American quickly called to see a flop of Q♣ Q♠ 9♦ for trip queens. The turn and river changed nothing, so ensuring that Charania and Cailly fought it out for the top prize – once a deal had been struck.